‘For him, for her and for you’. The print is absolutely divine and I am sure that he will love those shorts. Personally speaking, I am having an agenda – I would like to borrow them from time to time. She is leaving to the Maledives with her boyfriend. 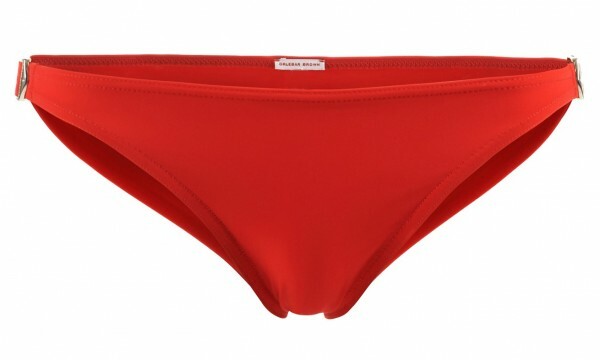 I am sure after seeing her in this gorgeous red bikini, he will finally propose to her. This is the perfect stylish cover-up for the beach that you can also wear with high heels at night. Founded by photographer Adam Brown in 2007, London-based label Orlebar Brown has become the go-to brand for smart tailored shorts in a variety of bold colours and graphic patterns for men and the welcome addition to the female swimwear closet. PLEASE CLICK HERE TO SHOP ORLEBAR BROWN FOR WOMEN and MEN.